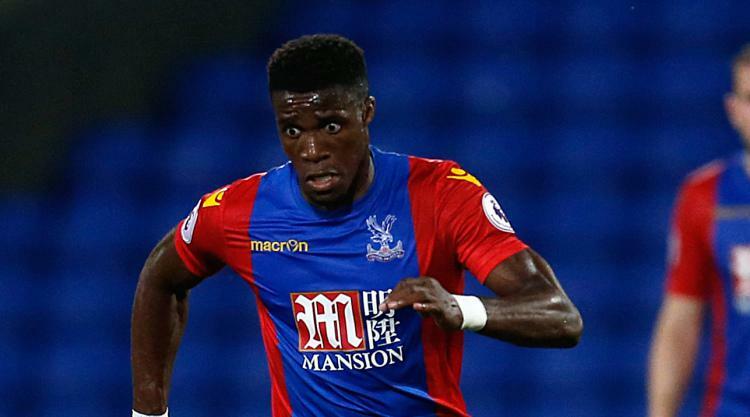 Pep Guardiola is far more interested in stopping Wilfried Zaha than bettering his own record for successive victories. Guardiola's Manchester City are chasing a remarkable 19th straight Premier League victory as they take on Crystal Palace at Selhurst Park on New Year's Eve. Their winning streak is already a record for all English league football but one more victory would see City equal the 19 in a row Guardiola achieved while in charge of Bayern Munich in 2013-14. "He is a guy who can turn the game. He's won a lot of points by himself. That's what I have to be concerned about." Since then the former England manager has overseen a recovery, with Palace having taken 18 points from their last 13 games. Guardiola has particularly noted their ability to score crucial goals in the closing minutes. He said: "They have this talent. It's happened many times. "It's not, 'Oh, it was a lucky day'. No. It happened two, three, four times because they have the talent. "I said to the players after Newcastle, 'Be ready guys and focus because we have a tough game on the 31st at Selhurst Park'. They are a team who can create a lot of things for themselves."